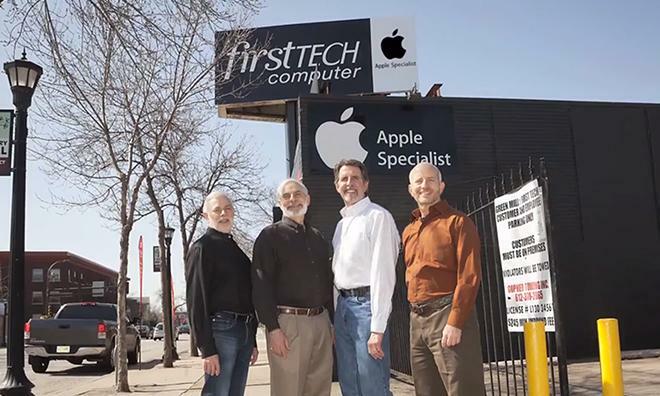 Some 37 years after it sold the world's first Apple computer, FirstTech will close both of its Minneapolis locations on Mar. 30, reports TwinCities.com. Originally founded as Team Electronics in 1941, FirstTech sold Apple's first personal computer in 1977 and has been selling and repairing the company's machines ever since. Prior to Apple products, the shop sold a variety of analog electronics like radios, televisions and phonographs. With its close ties to Apple, FirstTech experienced first-hand the tumultuous rise, fall and ultimate resurgence of the Cupertino, Calif., company. Ironically, an important aspect to Apple's recent ascension —the Apple Store —contributed at least in part to FirstTech's demise. In a bid to remain relevant in a fast changing economic landscape, FirstTech opened a second store in 2013 to service an area where Apple retail had yet to reach. The small company also branched out by selling education technology products like digital whiteboards, while growing its tech consulting and repair business. In the end, however, the small local shop was unable to compete with the five nearby Apple Stores, national big-box retailers and online sales companies. When the shop closes, 75 employees will be out of a job.